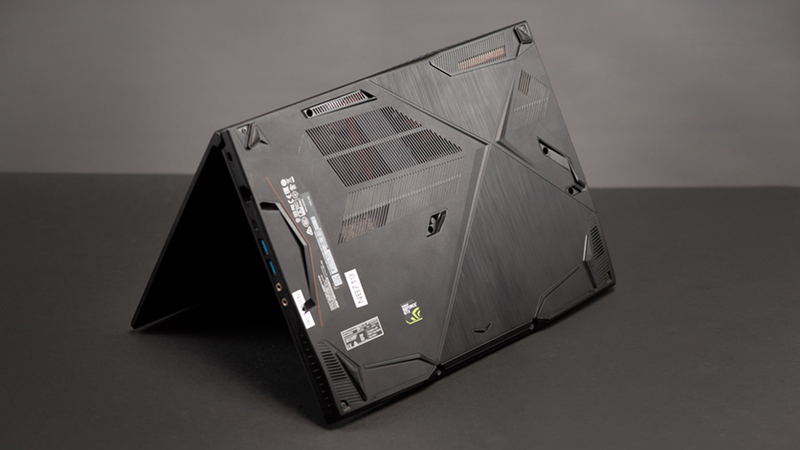 Maybe somewhere and really there is a perfect gaming laptop. Heavy-duty, with a design that pleases the eye, and at the same time – light as a feather and worth two pennies. Alas, no manufacturer has managed to create at least something similar. In the meantime, the ideal is not found, you can get acquainted with MSI GF63 RD – far from perfect, but still damn pleasant. 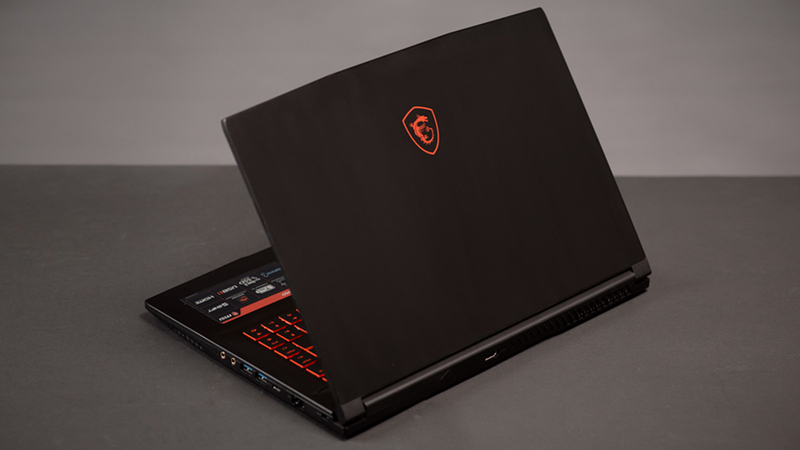 In the courtyard in 2018, gaming laptops have finally ceased to resemble carbon-fiber suitcases with ryushechkami and vyrvoglaznoy illumination. 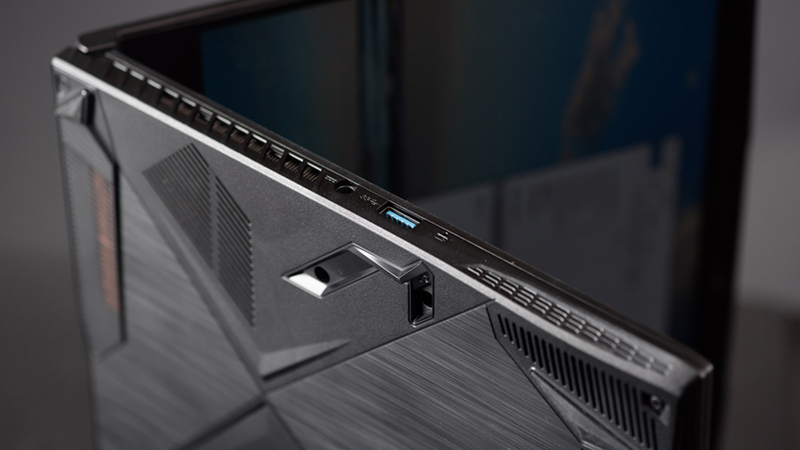 MSI was one of the first to catch the trend by releasing MSI GS65 Stealth Thin. The GF63 model continues and develops the same ideas. Black body made of brushed textured aluminum – just 21.7 millimeters thick and weighing 1.86 kg. Only the logo of the series gives the gaming accessory of the device. 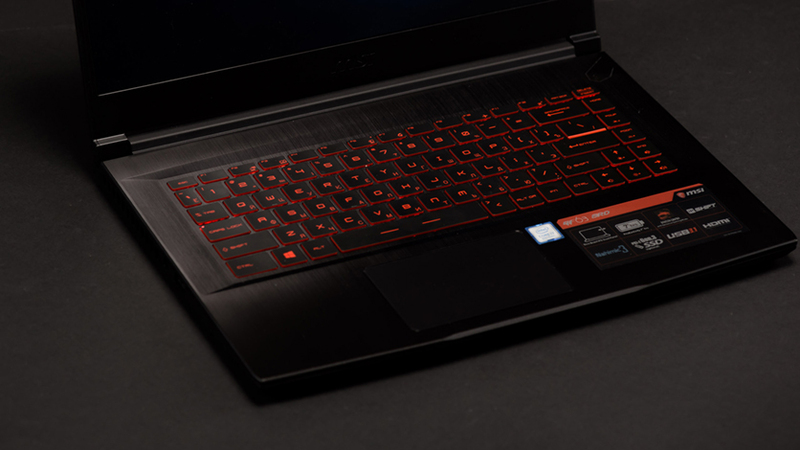 It is necessary to open the laptop – and the keyboard with red illumination dispel all doubts about its gaming essence. But it is quite convenient to work behind it, while typing the text: nothing dangles, the body does not bend. True, the width of the keys will require habituation. Complements the keyboard with a medium-sized trackpad with a tactilely pleasant finish and precise response to commands. It works out swipes and gestures clearly, you can squeeze it until a click, while random clicks occur extremely rarely. Connections are covered by 3 first-generation USB 3.1 ports, a USB 3.1 Type-C port and HDMI with support of 30 frames per second at 4K resolution. It is worth noting the build quality and balance of the laptop by weight – it can be opened without holding the bottom part. The case does not collect dust, but fingerprints are visible on it, although they are quickly erased. In general, there are no complaints about the exterior and the ergonomics of the model: everything is in place and in the case, and most importantly, there is no feeling that they have misplaced or cheated somewhere. Questions can cause unless the power key, which is located on the beveled face and has a big move. Version GF63 RD, like the whole series, combines performance and slim body. Therefore, for a compact placement of the graphics processor, it uses Max-Q technology, which balances the heating under heavy loads. Video cards in such a form factor – such as the 4 GB GeForce GTX 1050 Ti installed here, do not allow the machine to overheat. For heat removal are provided, including cutouts in the housing on the sides and bottom. As a result, the cooling system does its job. Of course, in the benchmarks and games, the coolers make themselves felt, but they make a little noise, and they are often not heard at all during the soundtrack. Speaking of sound: the Nahimic 3 proprietary application with flexible parameter settings is responsible for it. Looking at the screen, you immediately pay attention to the anti-reflective coating and concise – only 4.9 mm! – frame on the sides. Thanks to this, the 15.6-inch diagonal was able to fit into a case comparable to 14-inch laptops. A slightly more solid “chin” is needed, apparently, for the heat sink for resource-intensive tasks. The display has a resolution of Full HD, made by technology IPS-Level and is equipped with a matrix with a 5-ms response time and the usual refresh rate of 60 Hz. The color rendition is natural, the picture is smooth and juicy. Of course, MSI GF63 is not a breakthrough novelty, not a super-power machine in a modern slim body. 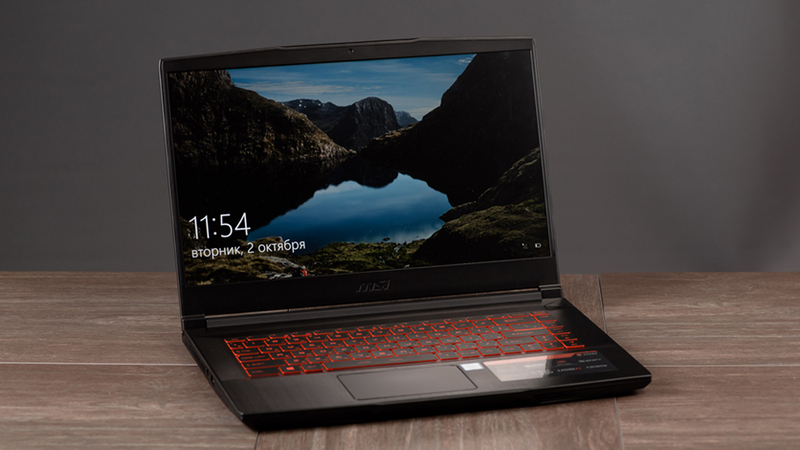 But it is still very well-made laptop, which is suitable for games and for work. In typewriter mode with a Wi-Fi connection, the device lasts seven hours confidently, and for better results, you can reduce brightness and limit performance. Even the power supply is now a match for the rest – it has ceased to resemble a bulky brick. Of course, the unprecedented beauty of graphics, which can be seen on the ultra-high settings, should not be expected. Fortunately, in modern AAA hits the difference between high and medium settings is not so noticeable: yes, some of the details will be lost, but the game will not become ugly. Just right for the user who is not averse to passing the evening for favorite entertainment, and in the afternoon – to work productively.